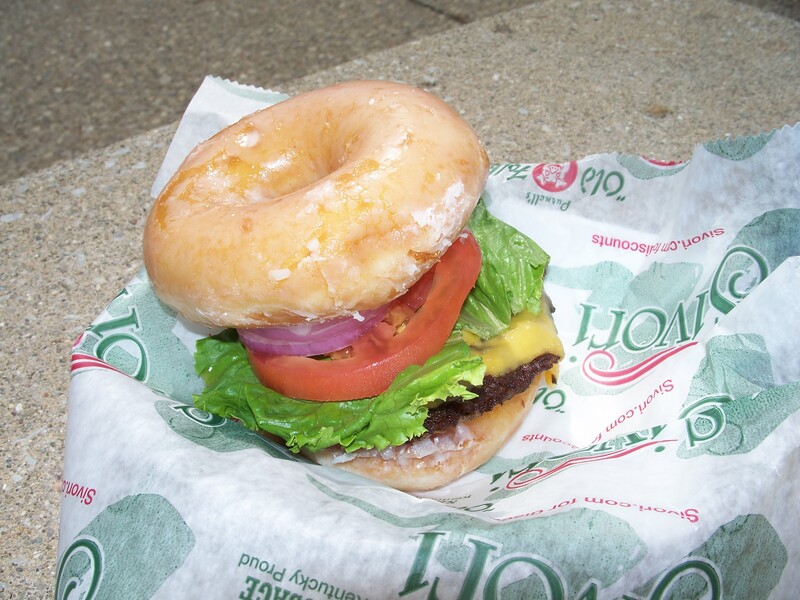 My doughnut burger from the 2010 Kentucky State Fair. It should have come with a bottle of Mylanta. 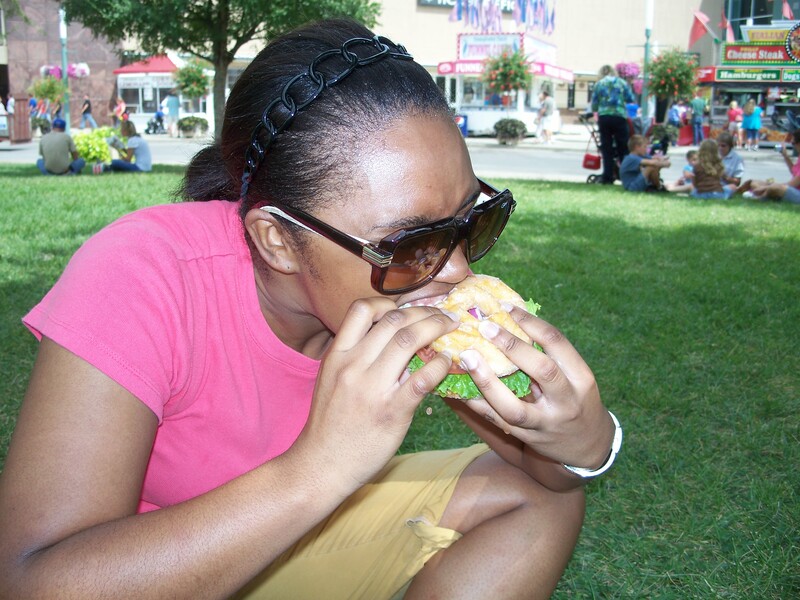 I think I just finished digesting the doughnut cheeseburger I ate at the 2010 Kentucky State Fair. Even though the dish was pretty tasty, I don’t know if I have the gumption to eat another one this decade. But I’m willing to give DD’s version a whirl. I felt the regret 10 minutes later. 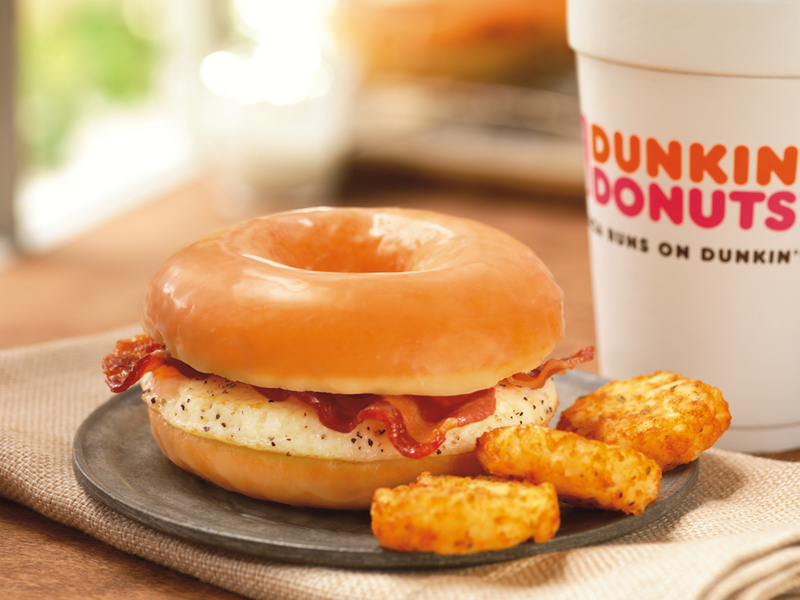 Will you try Dunkin’ Donuts’ new doughnut sandwich? For some reason, the breakfast sandwich sounds like a better idea than a hamburger on a doughnut. I want to try this at least once, but I am weighed down by guilt just thinking about it!